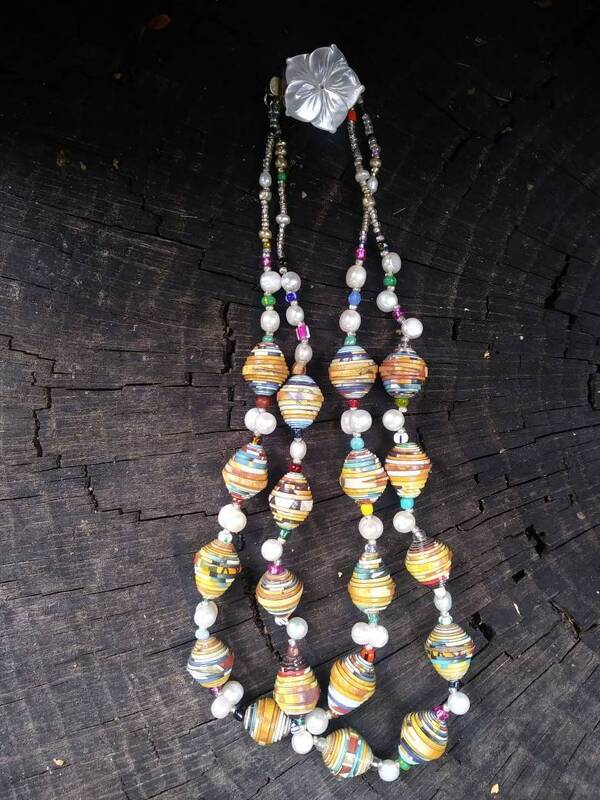 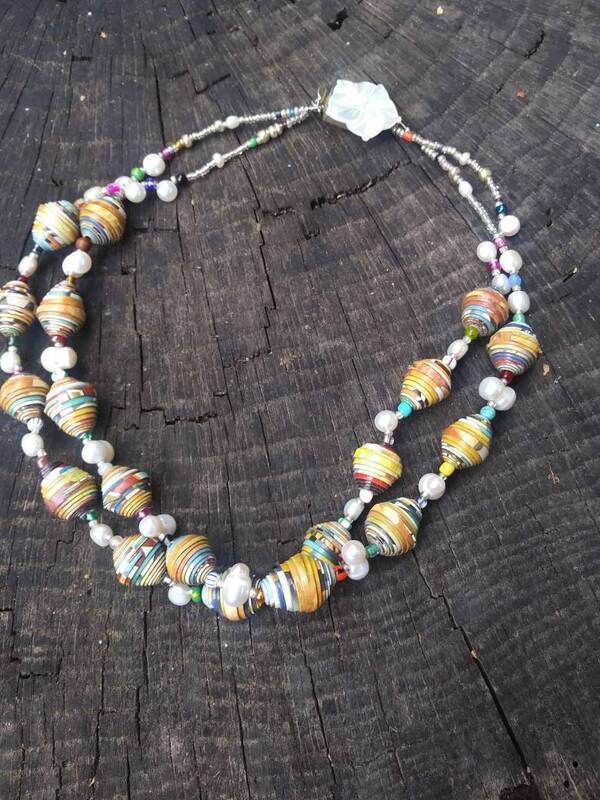 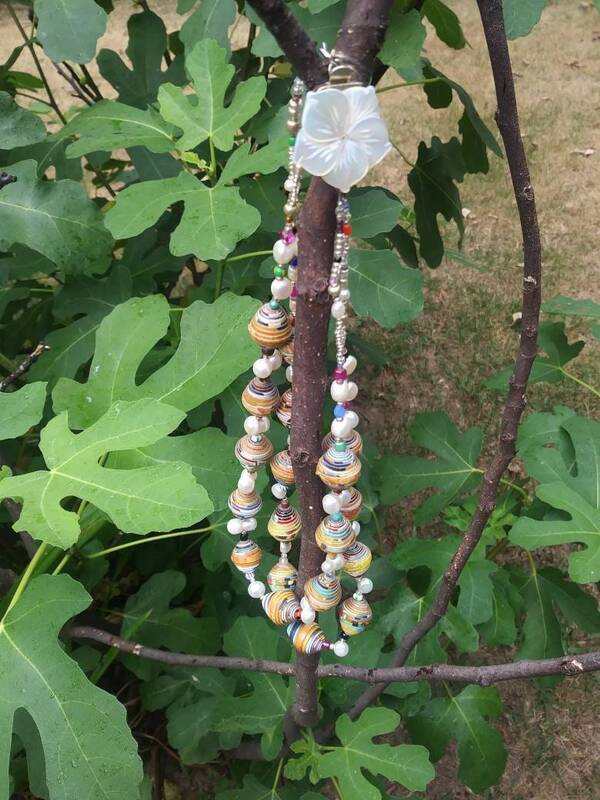 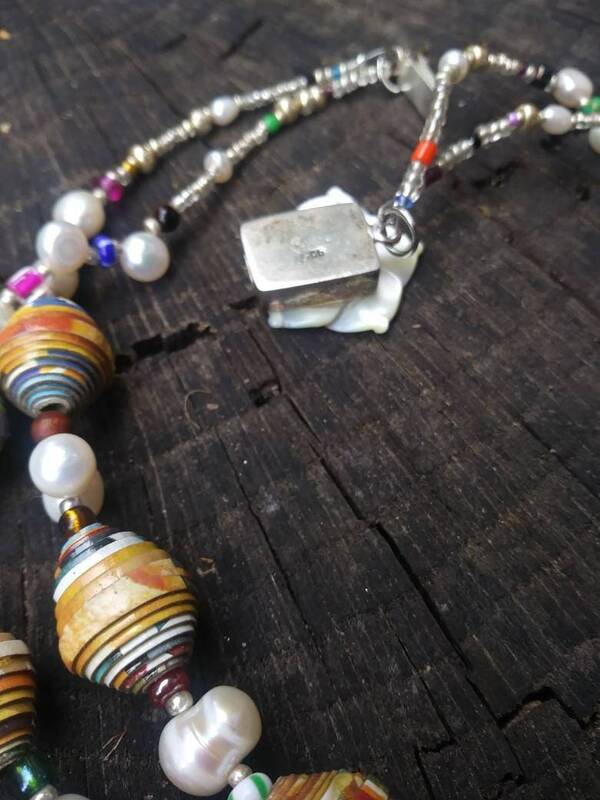 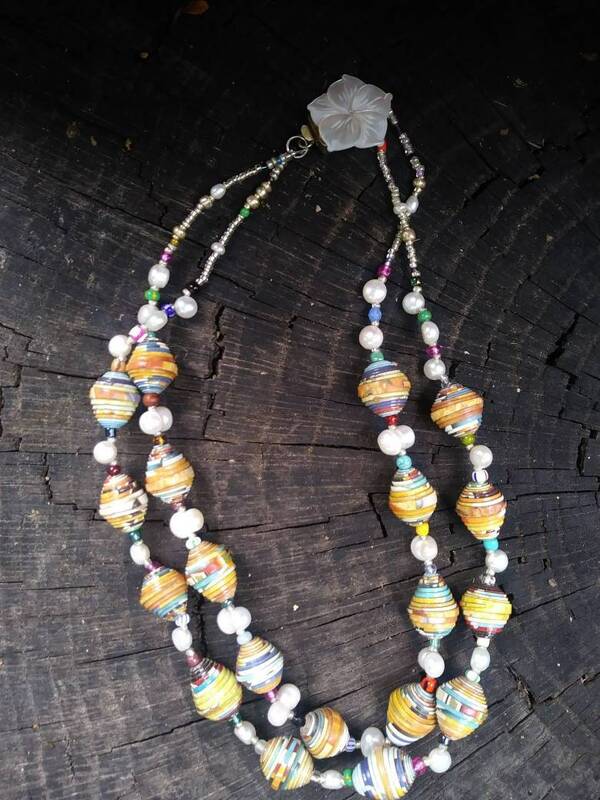 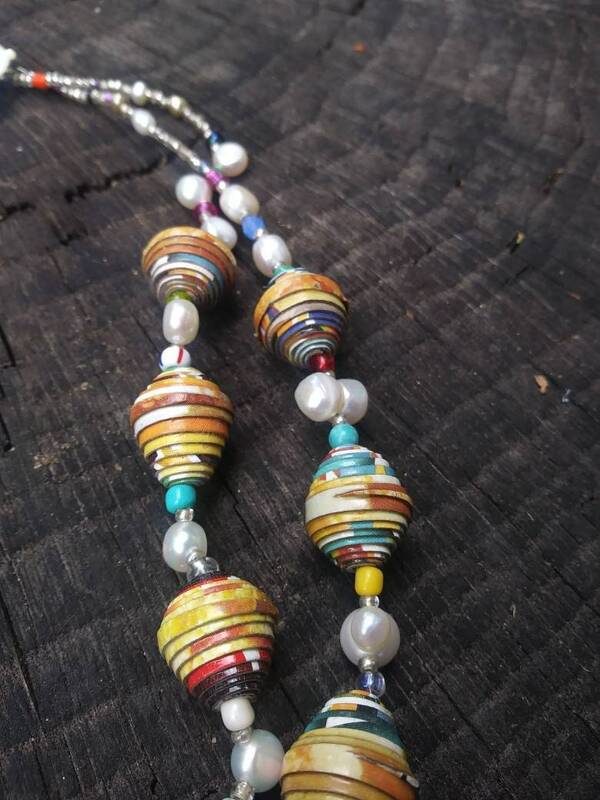 Double strand of handmade haitian paperbeads and pearls. 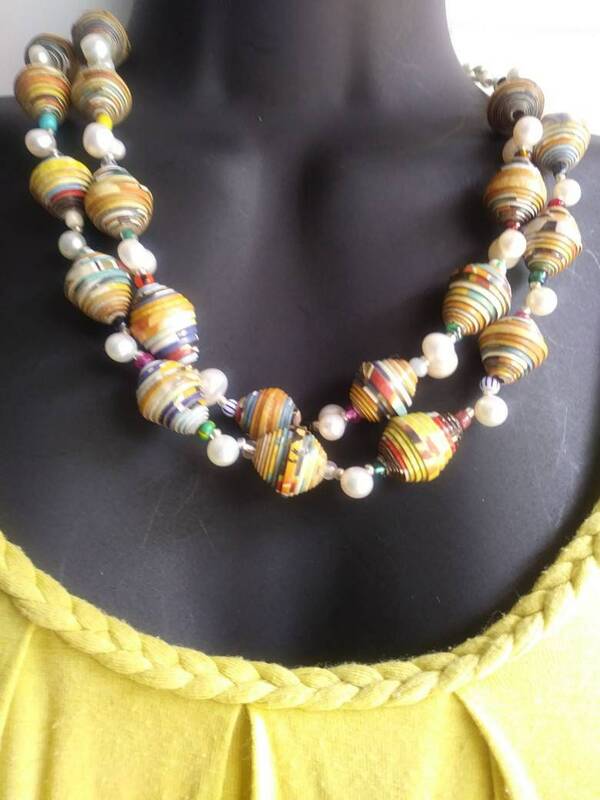 Dressy enough for work, yet funky enough to express your inner creativity! 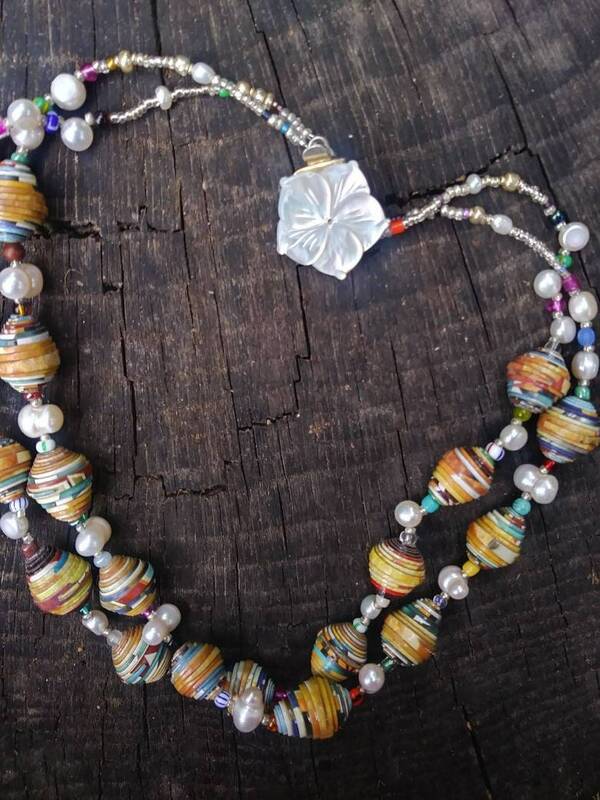 This piece has a variety of swarovski pearls and freshwater pearls, along with a variety of colors. 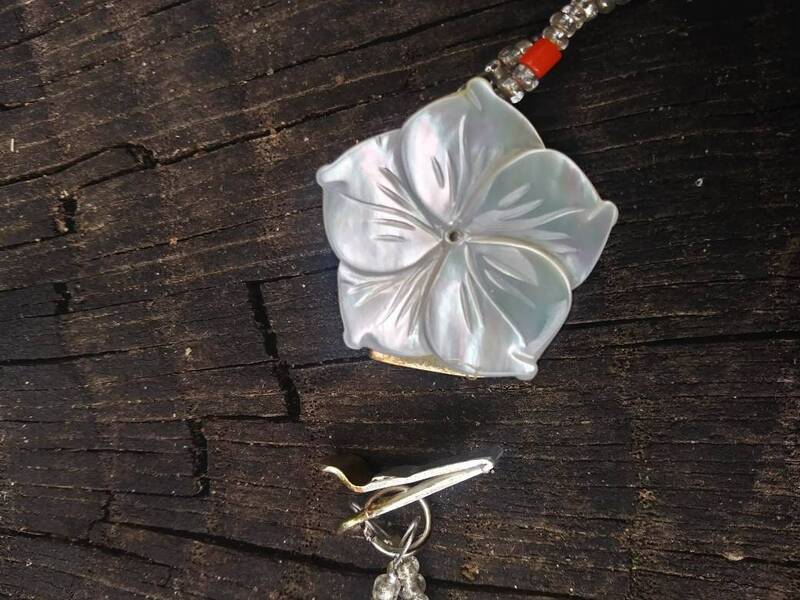 Lovely sterling clasp with a carved shell flower. 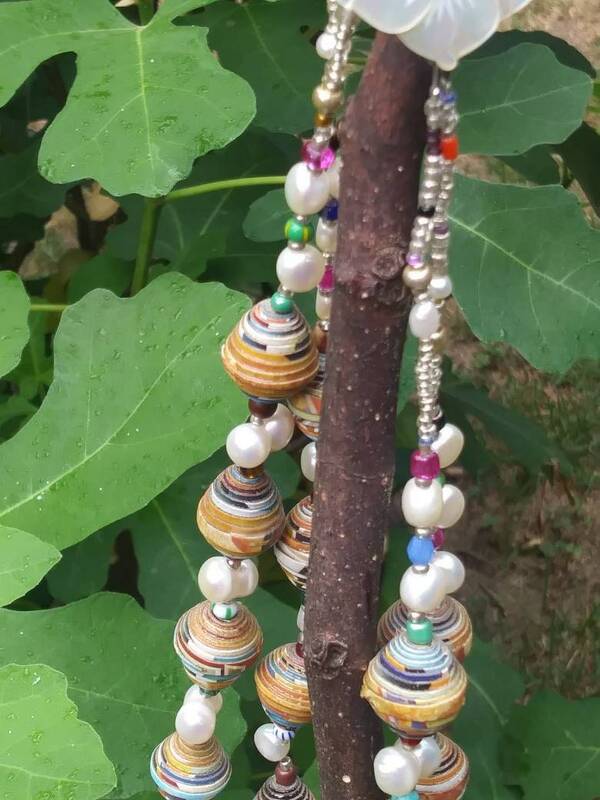 Although paper beads are varnished, the should not get wet.